Colleges and universities have a lot to manage, especially when it comes to finances. Students may pay their tuition through a variety of means, including cash, check, credit card, scholarships, grants and other forms of financial aid. Keeping track of all this can be a real headache for colleges. That’s why many use software programs to keep everything organized. Recently, two companies that specialize in software for colleges went through an acquisition. Campus Management Corp., based in Boca Raton, acquired Education Partners, which is based in Austin, Texas. The amount was not disclosed. The CEO of Campus Management Corp. is excited about the acquisition, stating that Education Partners’ talent and technology will fit the needs of their company. Besides its headquarters in Boca Raton, Campus Management Corp. has locations in Cincinnati, Houston and McLean, Virginia. The company also has offices in other countries, such as India, England and Brazil. The company employs 750 people in total. This number may increase soon, as the company is aggressively hiring for its United States locations, as well as in other countries. Education Partners, a relatively new company, was founded in 2013. Since then, its software platform has helped 750,000 students and processed $3 billion in financial aid. Campus Management Corp. is a much more experienced company and has been in existence since 1988. The company was purchased by Leeds Equity Partners in 2008. The New York firm also focuses on education. Companies acquire other companies for a variety of reasons. For example, many companies look for similar companies that may have skills or talent that they are lacking in certain areas. Other companies may also have more funds or assets that could be valuable, such as manufacturing or distribution facilities. One of the biggest benefits of an acquisition is that you reduce your competition. Because companies acquire companies which they are competing with, they can have that company on their team and reduce competition. Acquiring a business may also be a good idea if business is not doing well. Sometimes it is cheaper to buy a small business than to expand on your own. Another thing to consider is that buying a business will allow you to expand your customer base. Acquiring a business can also help with diversity. When you acquire a business, you acquire their products and services, which you can sell. When two companies combine, they can share a marketing budget. This reduces overhead and other costs. Many companies merge with similar companies or buy out another company in order to position themselves better in the market. The competition is tough, so making a company bigger and able to reach a larger audience is always a good thing. Mergers and acquisitions come with many benefits, but they can also bring out financial problems and other issues. 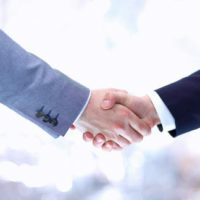 Orlando merger and acquisition lawyer B.F. Godfrey from Godfrey Legal can help you resolve conflicts and make the right decisions. To learn more, fill out the online form or call (407) 890-0023 to schedule a consultation.